Replacing an ac compressor can be fairly expensive. It’s one of the most expensive repairs in the air conditioning world. That’s why the Replace AC Compressor or the Whole Unit debate is such a common question. Sometimes, replacing the whole ac unit is the better option. Let’s say that you have a big car repair that has to get done for the car to operate properly. A transmission for example. Let’s say that repair is going to cost $1,500 – $2,000. The car is old, has high miles, and is only worth around $3,000 – $4,000 (with a working transmission). Would it be wise to consider buying a newer car, with lower miles and the less likely chance to have any major repairs spring up? I think most people would say yes. But, what if it’s a newer car that is still under warranty? Then the likely response would be to use the warranty to have the repair performed. It can be a very similar situation when it comes to replacing an ac compressor compared to replacing the whole unit altogether. Let’s get into some factors to consider. 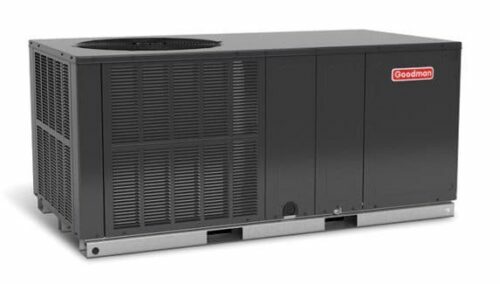 The first obvious factor to consider is the cost to replace the ac compressor. Depending on the size of the air conditioner and the speed of the compressor, the cost can be up to $1600 to replace the compressor. This will normally include a 1 year warranty on the compressor as well. 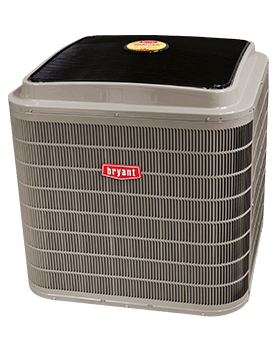 Compare this to around $2300-$3300 for a new condensing unit which contains the compressor, fan and condensing coil (the outdoor part of the unit), plus an included 10 year warranty. A whole new ac unit (condensing unit and the indoor parts of the unit) starts at around $3500 with a 10 year warranty. Is the AC Compressor Under Warranty? With most air conditioner purchases, there is included a warranty (normally 10 years). If the compressor is covered under the manufacturers warranty, then the cost for the compressor would be covered. The labor cost, on the other hand, would not be covered unless the ac unit is fairly new and the labor warranty from the installing contractor is still active. If one or both of these warranties is still active, then replacing the compressor would likely be a good option. Related: Should I Replace my Air Conditioner? Are You Satisfied with the Performance of the Air Conditioner? The last factor I want to mention is the performance of the current air conditioner. The newer air conditioners today are more efficient than the older models. They are cheaper on the energy bill in most cases. So, another perc of upgrading the whole unit would be an improvement in energy efficiency. This would pay dividends over the lifespan of the unit. 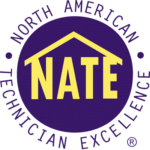 As we’ve covered this information, I hope that this has helped you gain more of an understanding concerning the “Replace the AC Compressor or Whole Unit” question. Simply weigh the factors above and decide what the best decision is for you in your particular situation. How much is it going to cost you in parts and/or labor? Is it covered under warranty? How old is the air conditioner? If you live in Jackson TN or the surrounding areas, feel free to give us a call at 731-300-1030. We perform both services and we can go over the costs and options with you.